Digital content has emerged as one of the most powerful marketing tools for any business – whether an online portal or a brick-and-mortar store. To cater to this burgeoning need, content creators are available in all budget sizes. 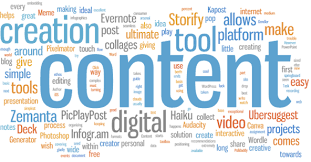 However it is not just enough to produce written content with a few scattered keywords and expect it to shoot to the top of search engine result pages. Even if that happens, there may be several reasons why even well-ranked content may not be translating into actual sales. 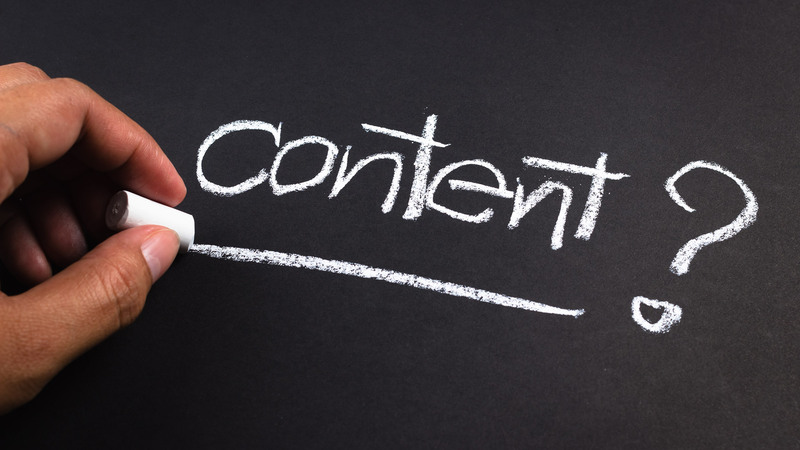 So if you have been perplexed by lack of results to your digital marketing strategy, here are 5 reasons your content needs to be rewritten. To generate traffic, you need to keep your content updated. And the rate at which new trends and ideas are spinning through the market, unless you incorporate the latest information on your website, it is likely to appear dated and turn off potential customers. That is not to say that you have to spend huge amounts of time and effort, updating each page on your website – just perhaps the most frequented ones. Apart from sprucing up the product descriptions and retouching the images, also take a relook at your company’s mission statement or “About Us” page. Do they need dusting as well? Also if you have a brick-and-mortar presence, see if you need to update the number, address and contact details of your stores or offices. Additionally, if your team has changed, you would want to update their details as well. In other words, your website should look and feel right in sync with how you want it now so that visitors and potential customers come away feeling good. Every digital marketing specialist knows that the longer the gaps between new updates to your site, the lower your chances of ranking high on search engine result pages. However in a drive to update the site or blog, very often you end up adding pages to your site in a random manner. It may be time for you to go over what is most important to your business now – rewriting these pages will make it more visible as well as relevant. If you need a helping hand to rewrite the content, the resources at ThanksForTheHelp and Paper Writing Service can guide you in the right direction. Conversely you can let less important pages like long-gone blog posts sink in a little deeper. Indeed the process will get much easier if you filter by your sitemap – if your website doesn’t have one already, make sure you include it while refurbishing your content. A sitemap comes very handy to potential customers while exploring your entire site or for looking for a particular piece of information. Often companies leave the business of writing content to professionals with little brief about the type of customers it caters to. Hence it is possible that viewers to your site may have questions and concerns that your content provider has no idea about. More significantly, your company could be going out of sync with emerging market demands. Very often one of the signs of a mismatch between consumer trends and your company’s offerings is a continuous slide in sales. One way to identify whether such gaps exist is to check out your competitor websites. Go through their online portals with the eye of a potential customer and see if anything exists which doesn’t figure on your own site. Invest some time researching what your users are looking for when they visit your site. Find out what their questions are and whether your site is able to provide the answers. In case you can afford to, a more professional way of tapping into customer requirements would be to commission market surveys or hire specialists like market research consultants. Once you get their input, then it would be time for you to rewrite your content in keeping with your business goals and mission statement. You are lucky indeed if you find this reason relevant. At times even a successful business can lead to marketing complacency. It is likely that larger customer base and higher order volume has been keeping you so busy that you have pushed the revamping of your site to the bottom of priorities. Rather than succumbing to this fallacy, ensure that your site content is rewritten to reflect your growing success. If you feel all this is too difficult, a professional writing service like Top Assignment Experts can be a good choice to get the job done. Once you brief them about your business needs, they’ll assign your project to a writer who is not only proficient but well-versed with industry trends. Also you can share positive feedback from satisfied customers and all of this will help your site to become more popular, further leading to good business. No matter how much your content provider juggles keywords and meta tags, ultimately the best SEO practices depend on good quality content. Unfortunately many digital marketers churn out website content in an assembly-line manner with generic descriptions and lack-lustre posts. If you have been finding your site or blog unable to figure high on search page results or converting viewers into customers, it is likely this “one size fits all” approach needs to be changed. It is time to make the effort to be unique and have it reflected on your website. See what sets your company apart from your competitors and make sure it is woven into the content. Find an original style that is different from the dry, keyword-obsessed writing of the run-of-the-mill content providers. Once your content exudes personality and panache, it is sure to pique the interest of viewers and potential customers. Mistakes can set you back, especially when your goal is to build your reputation as a credible resource. When viewers spot errors across your site, it reflects poorly on your overall business – not to mention negatively impacting your search engine rankings like on Google. To avoid such an eventuality, proofread your content thoroughly and if necessary rewrite. Online resources like Grammarly – a free and powerful program – will help you to check your content for grammatical errors and even poor sentence construction. Alternatively, you can scan your content for plagiarism at Free Plagiarism Checker and best of all, you can do this even as you write. Of course, there is nothing like a real expert to do the proofreading for your content. In case you wish to go for this option, Professional Assignment Writer can match you up with a professional proofreader to pick out any errors the automated checkers may have missed and then fix them. So, regardless of what option suits you, proofreading its online content is a step that no business can afford to skip. Search Engine Optimization has long been hailed as the no-fail benchmark for content writing. While it is undeniable that your digital presence can be enhanced by certain techniques and tools, you also need to bear in mind that there is no substitute for quality. So, keep your content updated on a regular basis and ensure that it is addresses the overt and subtle needs of your customers. With a style to match your business personality, your content is sure to emerge as the most powerful weapon in your marketing arsenal.